Sometimes people suggest that because The Open School charges tuition to families, it is “elitist” — that is, the school, and perhaps the entire Sudbury movement, is only viable for rich people. They say that public schools are the only way to ensure that rich and poor alike are given access to quality education. Sudbury schools are private, and that’s a good thing. It’s good because we might never have a country in which 50 percent of voters support Sudbury education. It’s good because policymakers don’t, and might never, really understand what we do. It’s good because Sudbury schools are available to low-income families. They charge variable tuition depending on the family’s income. Very low-income families might not have to pay a dime. 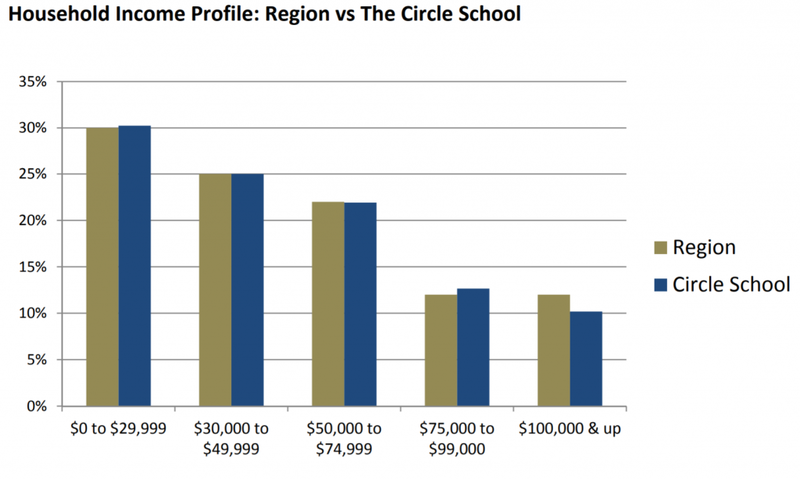 In fact, the Circle School, a Sudbury school in Harrisburg, Pennsylvania, conducted a study in 2015 and found that the household income profile of Circle School families almost exactly matches the household income profile of the surrounding region. Public education is popular in this country, but there are problems with the concept that are rarely acknowledged. To understand the first problem, let’s briefly put on our imagination caps and travel to a world not too distant from our own. The wise and benevolent government realizes that everyone needs food to live, and decides to provide free food to all citizens. Their nutrition experts decide that hamburgers are the best kind of food (why? I don’t know — maybe cow farmers are good at lobbying) and they start a restaurant chain called Freedom Burger, with locations in every neighborhood. Because Freedom Burger is free, and all other food costs money, almost everyone eats at Freedom Burger every day. Eleanor has always been a sandwich aficionado. She laments that there are no longer any sandwich shops in her neighborhood, and decides to open one of her own. However, Eleanor finds it difficult to attract customers. Even if she can persuade the locals that her sandwiches are tastier and healthier than Freedom Burger, people are reluctant to spend $8 on a sandwich when they can eat for free right across the street. Eleanor’s Sandwiches can’t stay in business, and it is back to burgers for everyone. This scenario may seem silly, but this is exactly what is going on with our schools. There is only one kind of education offered in our society. 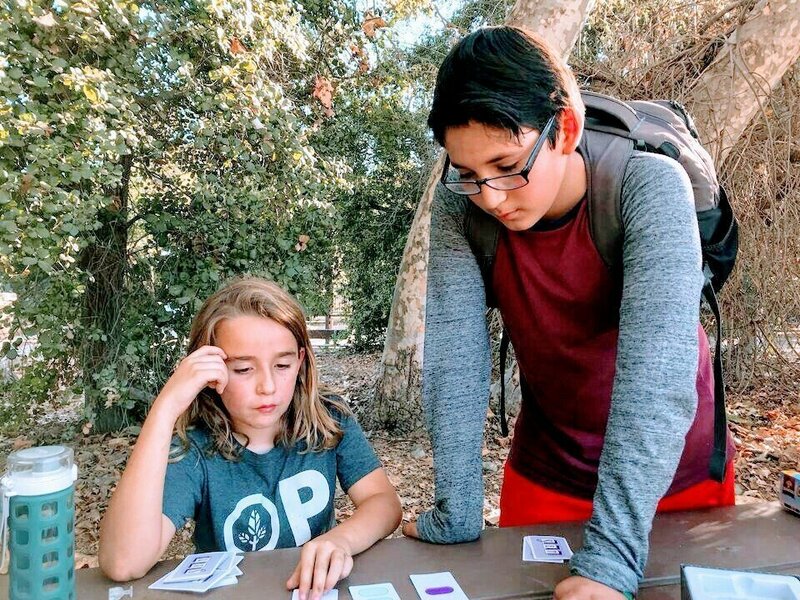 If an entrepreneur wants to offer an alternative kind of education, such as Montessori, Waldorf, or Sudbury, they have to compete financially with free public schools, which is extremely difficult. This system pushes alternatives to the margin, and ensures that parents will never have real choices regarding their children’s education. Does it have to be this way? Couldn’t the public school system offer a variety of different kinds of schools? We are seeing this a little bit with charter schools and voucher programs. However, these programs are not feasible for democratic schools like The Open School. In a democratic school, all school policies, including budgeting, are managed democratically by the students and staff on a one-person-one-vote basis, in a forum called the School Meeting. The idea is that all people who are affected by a decision should have an equal voice in making that decision. Let’s don our imagination caps again and suppose that The Open School is publicly funded by a government program. The policymaker who oversees this program, Mr. Gimble, thinks that kids ought to be given math tests to make sure the school is educating the kids properly. The School Meeting discusses this and decides that no, we don’t believe in testing and won’t require kids to take math tests. Mr. Gimble admires The Open School’s philosophical conviction, but replies that he can’t keep spending his money on a school which he believes is not educating children properly. The School Meeting reconvenes and acknowledges that without the government’s money, The Open School would cease to exist. Without any other choice, the School Meeting gives in and starts administering math tests to all its kids. This is only the beginning of an endless series of reforms that come from Mr. Gimble. The Open School is not really a democracy anymore — it is an autocracy, and Mr. Gimble is the dictator. Fortunately, in reality, The Open School is funded by tuition from families. The school gets its money from a large number of unaffiliated parties who have different philosophies. If a mom decides that she wants us to test her kid on math, the best she can threaten to do is to withdraw her own tuition money. The School Meeting doesn’t mind — it encourages her to take her money and go find another school that is better aligned with her values. This is the only way the school can be democratic. The public school system is controlled by a vast hierarchy of government officials. The people who work and study in the schools — the teachers and students — are the people most affected by school policies, and yet they have the least control over those policies. A tuition model puts governance back into the hands of the governed, where it belongs. But isn’t a tuition model elitist? Poor people can’t afford to spend thousands of dollars per year per child on education. One promising solution to this problem — which The Open School uses — is a “sliding scale” tuition model. Families pay a different amount of tuition depending on their income. A wealthy family might pay $11,000 per year to send their child, while a middle class family pays only $4,000 and a very low-income family pays nothing at all. This way the bills get paid and no one has to be turned away. The Open School is a nonprofit organization. Our mission is to provide democratic schooling to families who want it, regardless of whether they are worth any money to us. 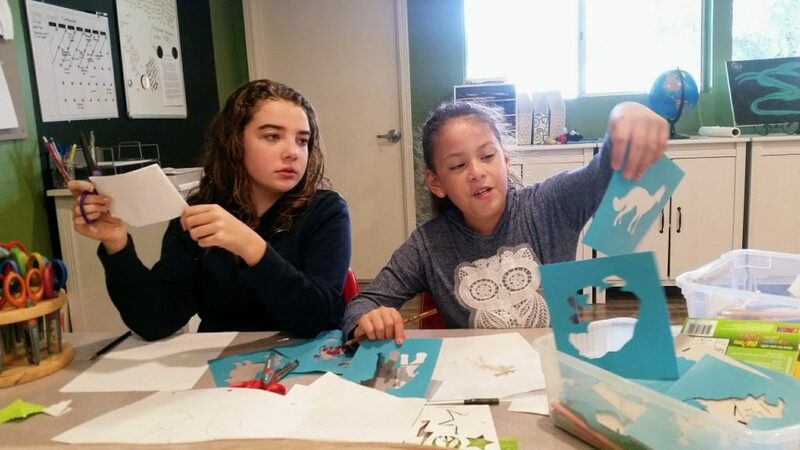 Incorporating low-income families is beneficial to everyone at our school, because it increases the socioeconomic and cultural diversity of the school and makes for a more vibrant community. A possible society-wide solution would be for the government to simply write checks to families for each of their school-aged children. Like a universal basic income, the money could be used for anything — the family could even decide to forego school and do homeschooling. This would allow low-income families to get quality education, without choking alternatives (like Eleanor’s Sandwiches) out of the market. The catch for this solution is that the government has to trust its citizens. It won’t work if the government tries to evaluate where people are spending their checks. This much trust is a big ask in our current political culture, especially where children are involved. What other solutions can you think of that would enable low-income families in our society to have access to quality education? Which solution do you think is the best? « Is America ready for youth suffrage?